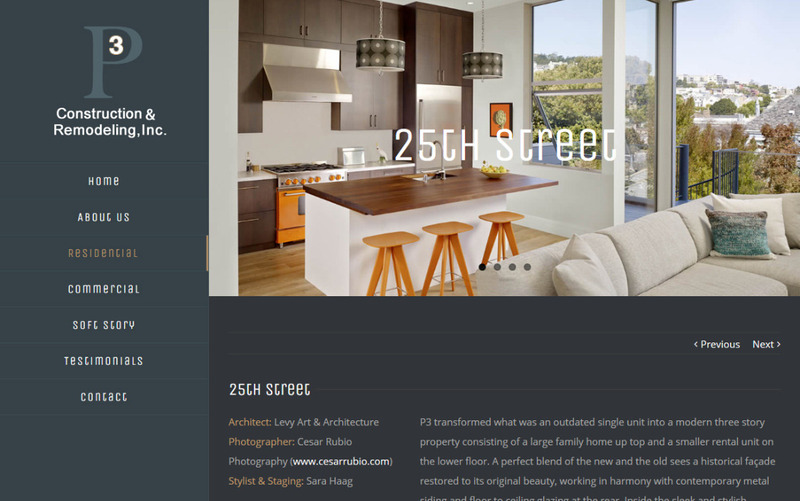 P3 Construction and Remodeling Inc.
We were very pleased to work with the team of P3 Construction and Remodeling Inc. to redesign their old website. They were interested in a mobile-friendly website, easy to navigate with an image gallery to present their residential and commercial projects. We used WordPress platform to meet the client’s needs: admin access to add new projects and change content on a regular basis. We put some emphasis on selecting different color tones, crisp fonts, and an uncluttered design. Training on how to use and maintain their WordPress site was included at the end of the project.